John Kagel, University Chaired Professor, joined the department in 1999. "Laboratory Experiments," Methods of Modern Experimental Economics, Cambridge, (2015), Guillaume Frechette and Andrew Schotter (eds). "The Role of Cognitive Ability, Personality Traits and Gender in Gift Exchange Outcomes,", Experimental Economics, (In Press), with Emel Filiz-Ozbay, John Ham, and Erkut Y. Ozbay. "Effects of a Management � Labor Context and Team Play on Ultimatum Game Outcomes" Southern Economics Journal, (In Press), (Instructions), with Hal Arkes and Dimitry Mezhvinsky. "A Failure to communicate: An Experimental Investigation of the Effects of Advice on Strategic Play," European Economic Review, 2016 (vol 82) with David Cooper. "Team versus Individual Play in Finitely Repeated prisoner Dilemma Games," AEJ: Microeconomics, 2016 (vol 8, #2), (Appendix), with Peter McGee. "Communication in Legislative Bargaining," Journal of the Economic Science Association, 2015 (vol 1), with Andrzej Baranski. "Ascending Prices and Package Bidding: Further Experimental Analysis," Games and Economic Behavior, 2014 (vol 85), (Instructions, Reprint),with Yuanchuan Lien and Paul Milgrom. "Personality and Cooperation in Finitely Repeated Prisoner’s Dilemma Games," Economics Letters, 2014 (vol 124), with Peter McGee. "Legislative Bargaining with Teams," Games and Economic Behavior, 2015 (vol 93), with Anthony J. Bradfield. "Theoretical and Experimental Analysis of Auctions with Negative Externalities," Games and Economic Behavior, 2013 (vol 82) (Instructions), (Appendix), with Youxin Hu, Xiaoshu Xu, and Lixin Ye. "How Economic Rewards Affect Cooperation Reconsidered," Economics Letters, 2013 (vol 121), with Dan R. Schley. "Coalition Formation in a Legislative Voting Game," (Appendix and Instructions), American Economic Journal: Microeconomics, 2013 (vol 6), with Nels Christiansen, and Sotiris Georganas. "Simultaneous versus sequential Information processing," Economic Letters, 2011 (vol 112), with Dan Levin and Ross Hoffman. "Pork Versus Public Goods: An Experimental Study of Public Good Provision Within a Legislative Bargaining Framework," Economic Theory 2012 (vol 49), with Guillaume R. Fréchette and Massimo Morelli. "Asymmetric Auctions with Resale: An Experimental Study," (Instructions), Journal of Economic Theory, January 2011, with Sotiris Georganas. "Ascending Prices and Package Bidding: A Theoretical and Experimental Analysis" (Instructions), (Appendix), American Economic Journal, August 2010, with Yuanchuan Lien and Paul Milgrom. "Minimum Wage Restrictions and Employee Effort in Labor Markets with Gift Exchange Present" (Instructions), Journal of Economic Behavior & Organization, 2010, with Mark F. Owens. "Simultaneous versus Sequential Information Processing," Economic Letters (forthcoming with minor revisions), with R. Hoffman and D. Levin. "Veto Power in Committees: An Experimental Study," (Instructions), Experimental Economics, vol 13, 2010, with Hankyoung Sung and Eyal Winter. "Equilibrium Selection in Signaling Games with Teams: Forward Induction or Faster Adaptive Learning?" 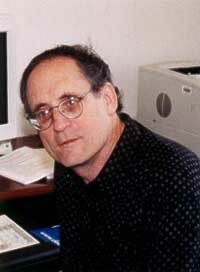 Research in Economics, vol 63, 2009, with David Cooper. "Winner's Curse" in International Encyclopedia of Social Sciences, 2nd Edition, W. A. Darity (editor in chief) Macmillan Publishing (2007), with Dan Levin. "The Role of Context and Team Play in Cross-Game Learning," (online appendix), Journal of the European Economic Association, vol 7, 2009, with David Cooper. "Implementing Efficient Multi-Object Auction Institutions: An Experimental Study of the Performance of Boundedly Rational Agents" (instructions), Games and Economic Behavior, vol 66, 2009, with Dan Levin..
and Management Strategy, vol 17, 2008, with Susan Rose. "Auctions: Experiments (in New Palgrave Dictionary of Economics)" , with Dan Levin, 2007. "Information Exchange in Group Decision Making: The Hidden Profile Problem Reconsidered" (online appendix), Management Science, vol 55, 2009, with J. Lightle and H. Arkes. "Selection Bias, Demographic Effects and Ability Effects in Common Value Auction Experiments," (online appendix) with Marco Casari and John Ham, (Instructions), American Economic Review, 97, 2007. "Learning and Transfer in Signaling Games" (Instructions), with David J. Cooper, Economic Theory, 34, 2008. "Gender Effects in Private Value Auctions" with John Ham, Economic Letters, 2006. "Survival Auctions" (online appendix), with Svetlana Pevnitskaya and Lixin Ye, Economic Theory, 33, 2007..
"How Robust is Laboratory Gift Exchange?" with G. Frechette and G. Charness, Experimental Economics, 2004. "Behavioral Identification in Coalitional Bargaining: An Experimental Analysis of Demand Bargaining and Alternating Offers," (Instructions), with Guillaume Frechette and Massimo Morelli, Econometrica, November 2005. "Gamson�s Law versus Non-Cooperative Bargaining Theory," (Intructions) with Guillaume Frechette and Massimo Morelli, Games and Economic Behavior, May 2005. "Nominal Bargaining Power, Selection Protocol and Discounting in Legislative Bargaining?" (Instructions), with Guillaume Frechette and Massimo Morelli, Journal of Public Economics, Vol. 89, 2005. "Are Two Heads Better than One? Team versus Individual Play in Signaling Games" (Instructions), (Note on violations of intuitive criteria in teams), (Appendix), with David J. Cooper, American Economic Review, June 2005 (Lead article for June issue). "Multi-unit demand auctions with synergies: Behavior in sealed-bid vs ascending-bid uniform-price auctions," forthcoming in Games and Economic Behavior (with Dan Levin), Vol. 53, 2005. "Bargaining in Legislatures: An Experimental Investigation of Open versus Closed Amendment Rules," (revised November 2002), (Instructions to the Experiments), with Guillaume R. Frechette, and Steven F. Lehrer, American Political Science Review, Vol. 97, 2003. "Almost Common Value Auctions Revisited," European Economic Review (with Dan Levin), July 2005. "Randomization, Endogeniety and Laboroatory Experiments: The Role of Cash Balances in Private Value Auctions," Journal of Econometrics, with John Ham and Steven Lehrer, Vol. 125, 2005. "Double Auction Markets with Stochastic Supply and Demand Schedules: Call Markets and Continuous Auction Trading Mechanisms," John Kagel, in Advances in Understanding Strategic Behavior; Essays in Honor of Werner Guth (S. Hack, Ed. ), Palgrave, 2004. "Partial Gift Exchange in an Experimental Labor Market: Impact of Subject Population Differences, Productivity Differences and Effort Requests on Behavior," forthcoming Journal of Labor Economics, with R. Lynn Hannan and Donald V. Moser, 2002. "Lessons Learned: Generalizing Learning Across Games," American Economic Review (papers and proceedings) (2003), with David Cooper. "Impact of Meaningful Context on Strategic Play in Signalling Games," (working paper version), Journal of Economics Behavior and Organization, vol 50, 2003, pp. 311-37, with David Cooper. "Common Value Auctions and the Winner�s Curse: Lessons from the Economics Laboratory," with Dan Levin, in Common Value Auctions and the Winner's Curse (J.H. Kagel and D. Levin), Princeton University Press (2002). "Tests of Fairness Models Based on Equity Considerations in a Three-Person Ultimatum Game," (working paper version) Experimental Economics, vol 4, 2001, pp 203-220 (with Katherine Wolfe). "Adaptive Learning versus Equilibrium Refinements in an Entry Limit Pricing Game," Economic Journal, vol 107 (1997) with D. Cooper and S. Garvin. "Revenue Effects and Information Processing in English Common Value Auctions," American Economic Review, Vol. 86 (1996) with D. Levin and J.F. Richard. The Handbook of Experimental Economics, Princeton University Press, 1995. with A. E. Roth (eds). The Handbook of Experimental Economics, vol 2, Princeton University Press, 2016. with A. E. Roth (eds). Further publications and working papers are found in my curriculum vitae. "An experimental study of the generalized second price auction." (Instructions), with Jinsoo Bae. "Comparing Efficient Multi-Object Auction Institutions" , with Scott Kinross and Dan Levin. "The Effects of Doctor-Patient Portal Use on Health Care Utilization Rates and Cost Savings,", with Daeho Kim, Neeraj Tayal, Seuli Bose-Brill, and Albert M. Lai (February 2017). "Teams Promise But Do Not Deliver,", (Instructions), with Kirby Nielsen, Puja Bhattacharya, and and Arjun Sengupta (July 2017). "Cooperation through Communication: Cheap Talk in a Finitely Repeated Prisoners� Dilemma Game," (Instructions), (July 4, 2017). "The Effects of Increasing versus Decreasing Private Goods on Legislative Bargaining: Experimental Evidence," (Instructions), (June, 24 2017), with Nels Christiansen. "Gains versus Costs in Legislative Bargaining," (Instructions), (2017) with Nels Christiansen and Tanushree Jhunjhunwala. "Macroeconomics: A Survey of Laboratory Research," John Duffy. "Using Experimental Methods to Understand Why and How We Give to Charity," Lise Vesterlund. "Neuroeconomics," Colin Camerer, Jonathan Cohen, Ernst Fehr, Paul Glimcher, and David Laibson. "Other-Regarding Preferences: A Selective Survey of Experimental Results," David J. Cooper and John H. Kagel. "Experiments in Market Design," Alvin E. Roth. "Experiments in Political Economy," Thomas R. Palfrey. "Experimental Economics Across Subject Populations," Guillaume R. Fr�chette. "Auctions: A Survey of Experimental Research," John H. Kagel and Dan Levin. "Learning and the Economics of Small Decisions," Ido Erev and Ernan Haruvy. Distinguished Scholar Award, The Ohio State University (2008). Chancellor's Distinguished Research Award (1997). National Fellow Hoover Institution (1981-82). Best 1973 Western Economic Journal Article Award "A Test of Consumer Demand Theory Using Observation of Individual Consumer Purchases," Western Economic Journal, 11, (December 1973).